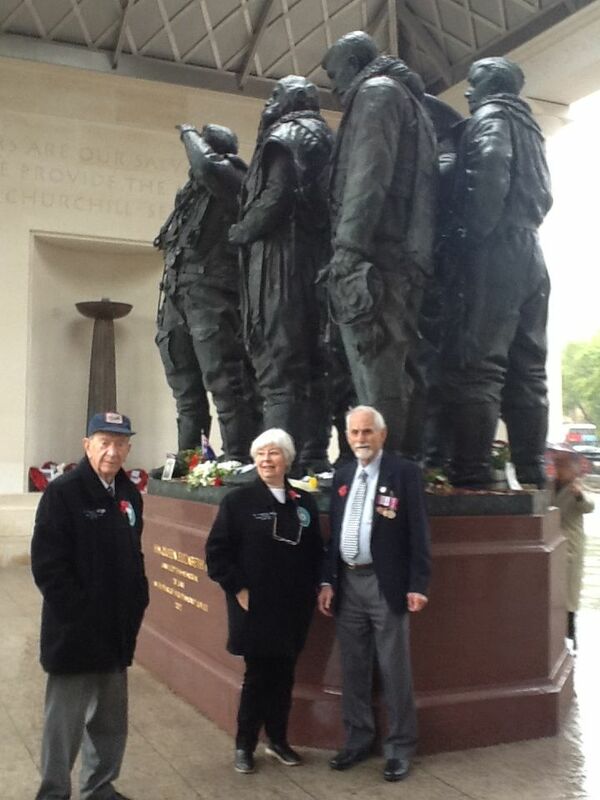 Jim Mora featured the Bomber Command Memorial Service in Wellington today on Afternoons (Radio New Zealand Natinal). 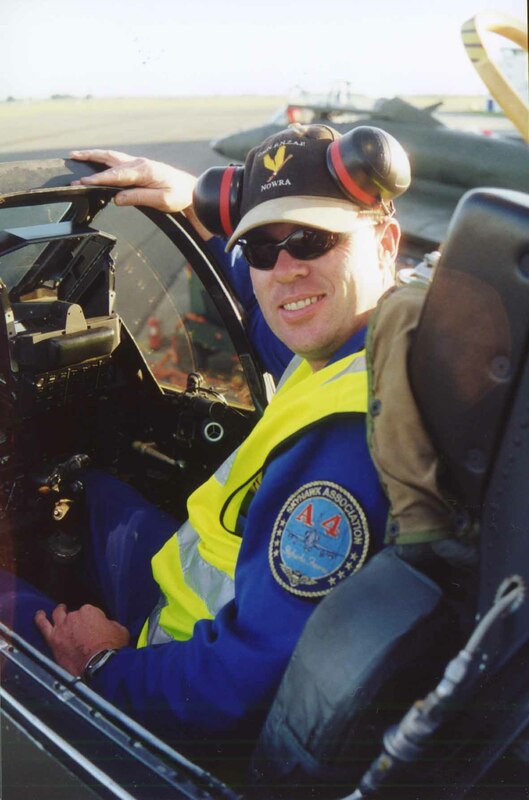 He interviewed Lancaster pilot Bruce Cunningham and Lancaster Navigator Ray Tait. I note the second row of bombs appears to be of a different design/image to the first row which, as you say Peter, look very much like big fellas. This forum and its dwellers are awesome, thanks so much for this info .. I will have to keep my day job now. 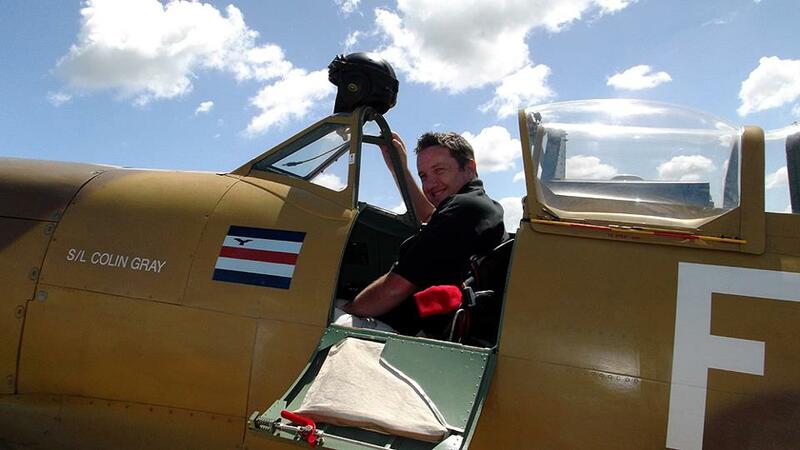 Photos of the RAF bods tour and yesterdays service coming ,,,promise. 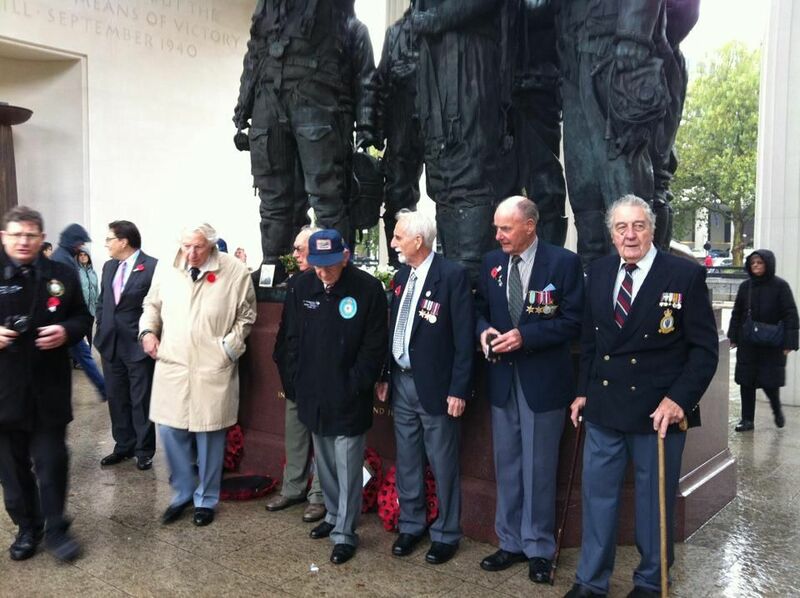 The service and reception on Wednesday in Wellington was very special to all veterans, friends and family of RAF Bomber Command. 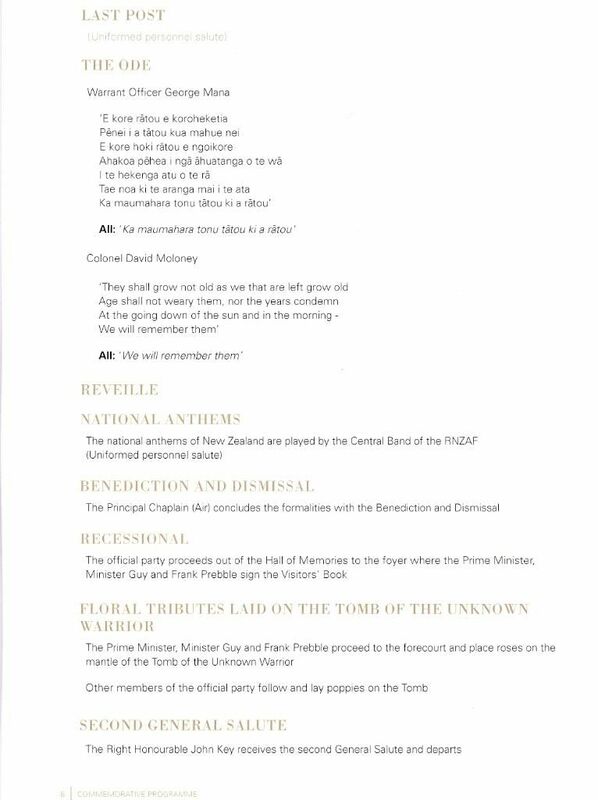 Attached is the service programme and please follow the link in the email below to access an album of photographs. As well as Chief of Army, Navy and Airforce, The Central Band RNZAF played and an honour guard paraded. Attending were the H.C of UK and Canada and Ambassadors of Poland, Holland, France, South Africa, Kenya, Italy and Germany. 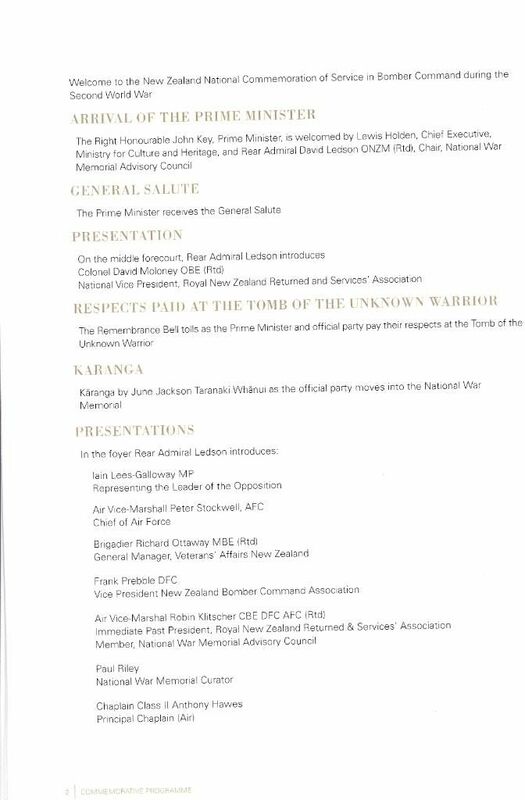 In a day of memories, we should remember that a John Keys announcement of Veterans travel arrangements allocated over thirty of our veterans to go to London and be cared for extremely well. This tour was the envy of other Commonwealth countries. 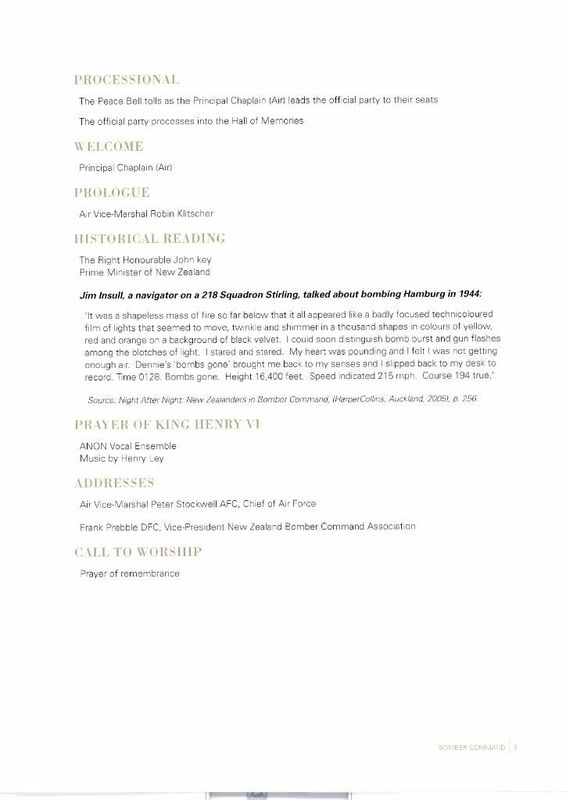 Today recognition of your service went even further by a formal acknowledgement by the Prime Minister, Minister of Defence and Veterans Affairs Ministers of the sacrifice and bravery shown by our aircrews some 70 years ago. 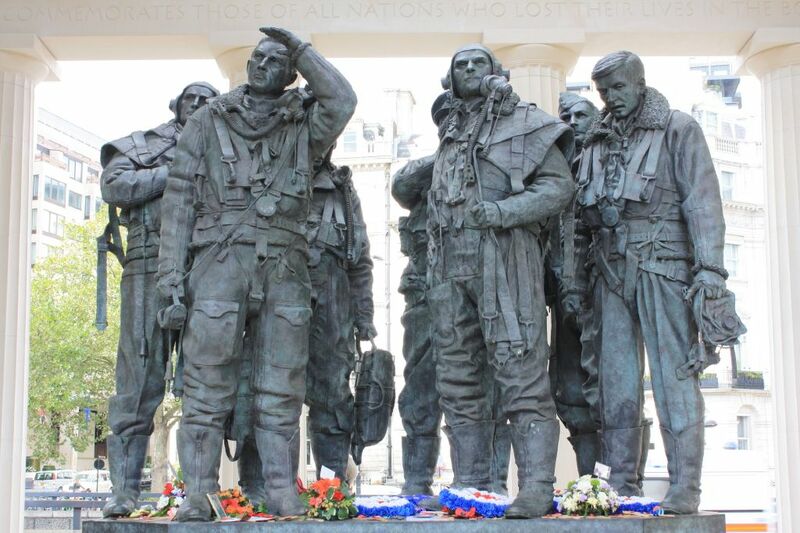 I believe that this recognition of Bomber Commands efforts is also a first amongst the Commonwealth Governments. Wish I could have gone on the trip! "As long as nothing gets in our way" says TVNZ. This should be plenty of warning I hope, we only got the email five minutes ago. It should be a good show as I have seen stills from the various shoots. We have also provided period pictures of raids and targets so I hope its not a one minute wonder show. That was brilliant. Brought a tear to my eye. Well done Close Up and everyone involved. It must have been quite an experience to go for a taxi in Just Jane. They had been there the week before Dee and I visited. Fantastic coverage given the time available, very well done. 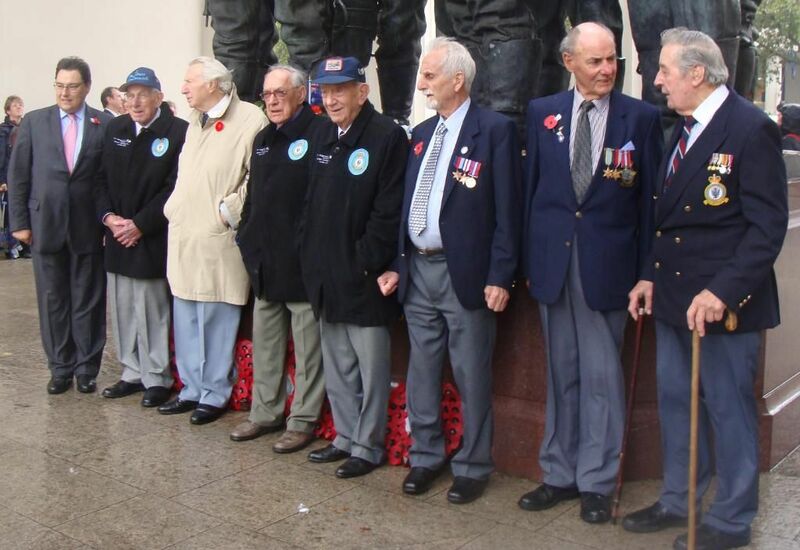 Like you Don, I got a bit emotional ... so good to see these guys finally being recognised. And such a great trip. Doug mentions his German friend near the end of the piece - this is Lutz Dille, and Doug's new book, "The Nazi and The Luftgangster", is actually their two autobiographies spliced together. Lutz came from Liepzig, near where Doug baled out, and was an Army reconnaisance photographer on the Eastern Front. There were quite a few parallels in their stories, both have a good sense of humour, and its a great read. I have just managed to catch up with this segment, absolutely fantastic to see this happen and the Close Up piece was superb. Well done to all involved. 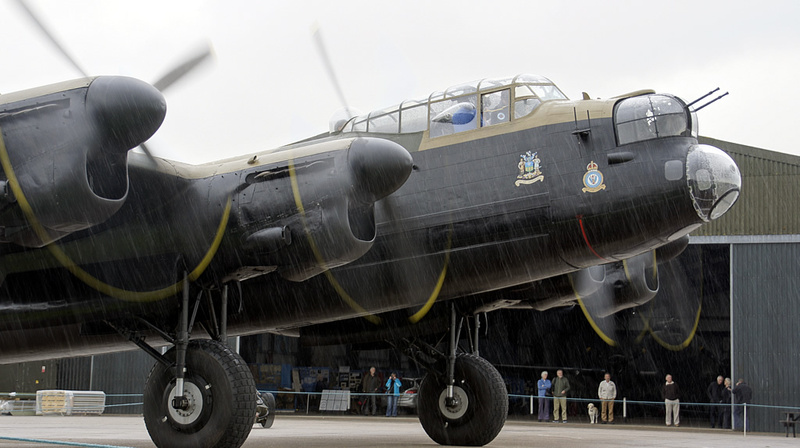 That Lancaster picture with bomb symbols would be NX611 possibly at Blackpool uk?? Thanks for the tip, I have checked and you are quite right. It went to East Kirby I think. These two have been found in books with no details written on them. Any ideas? 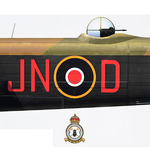 The Lancaster carries large bomb symbols, perhaps a 9 or 617 Sq. aircraft showing Tallboy sorties while the Halifax is named Kiwi. This is a photo of preserved Lancaster NX611, now 'Just Jane' at East Kirkby, but at the time, still painted as 'Spirit of Surfer's Paradise' (the SoSP nose art can just be seen under the tarp). It's an ex French Aéronavale Lanc, and as such has the extra aft fuselage windows of the conversion. 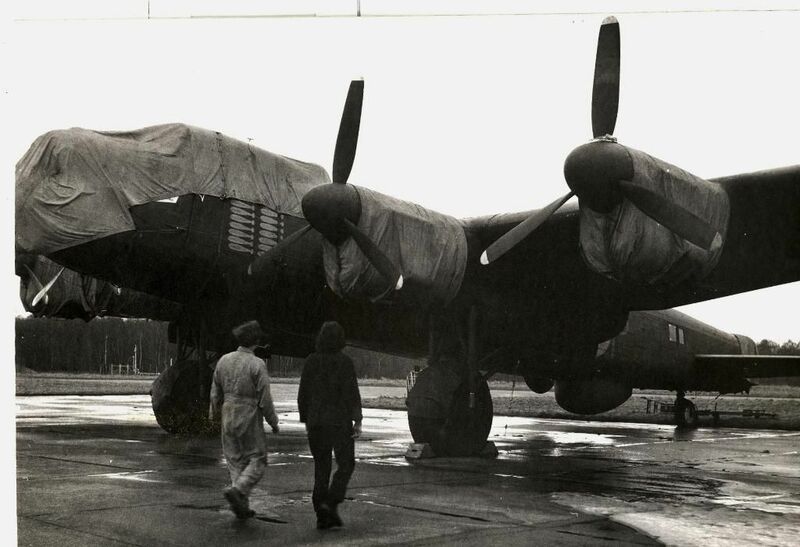 Referring to Goulding & Taylor's 'Story of a Lanc' it looks to be 1973, after the Reflectaire Auction at Blackpool and before it was moved to RAF Scampton. Thanks , all sorted now .